In school, it is an unavoidable truth that you will be asked to write something about a topic which sometimes you are so eager to finish. There are also times when you feel like you do not want to write anything at all. Well, that is just normal. We all go through those times.One of the things that we do in school is essay writing. As we all know, it is never an easy job to write especially college essays. However, having the right disposition and enthusiasm makes it all so easy. By the time you start to write, all those ideas keep coming and you wouldn’t realize you’re already done. Most of the time, expository essays are presented by offering a variety of topics and ways to bring up the idea. However, this approach has been discouraged because it sometimes confuses the reader as it goes away from the main idea. 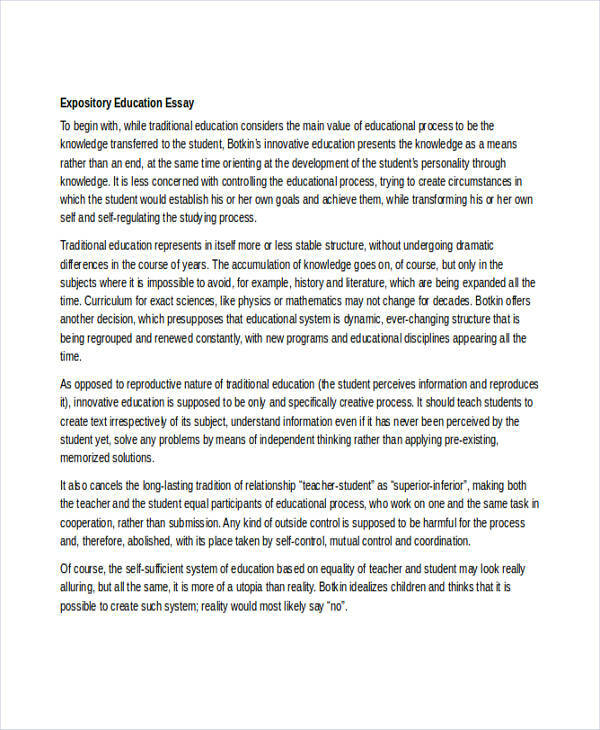 Also, its structure is mostly the same as other types of essays (see essay examples in Doc). 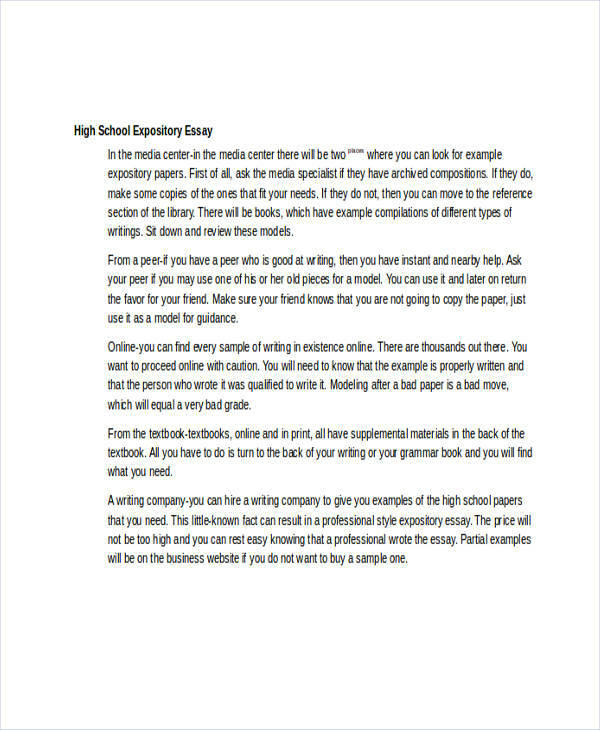 There are multiple methods on how to write an expository essay. But, the most common is the five-paragraph approach. Here’s how you should write it. Introduction. In essay writing, an introduction should always be present. Here you will have to present a brief explanation or short essay description about your idea. Main discourse. 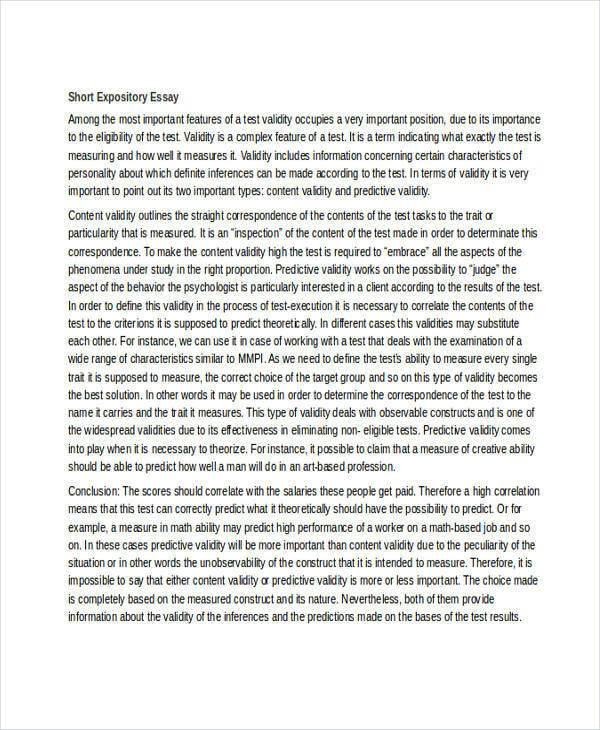 Most people only write three to four paragraphs to present the evidences or to expand the idea. However, your style should be to present the first idea that should correlate with the second one and so on and forth. Conclusion. Here you just simply have to summary writing or present the whole point or explanation of the idea. Some people find expository writing harder than descriptive writing. Probably because it is at times difficult to present an idea and expand it so the readers can get a grasp of it. Here are a few guidelines you can use. Do an intensive research. Oftentimes, the problem with expository writers is that they don’t have enough points to present for the idea. Do your research. Widen your vocabulary. It is easier to write when you have the right words to use. You don’t have to browse your dictionary from time to time. Design a method. Be a little creative. There may be some methods that people use to write but it is still better if you have one for your own. Essay writing provides a lot of benefits to students in the academe. Not only it gives them credits from their teachers, it also boosts their confidence in expressing their ideas. 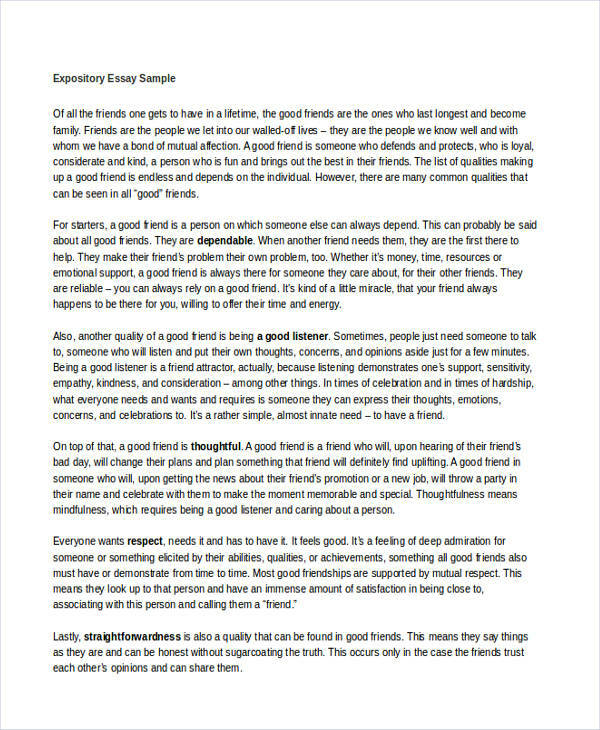 Expository essays provide a better understanding of a certain topic. We cannot avoid that at times, there are things that are presented vaguely making us question what it really means. 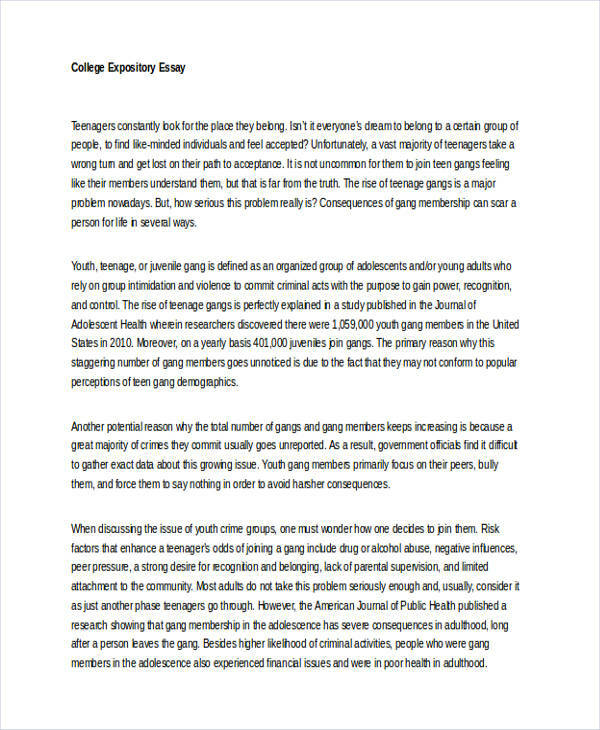 Expository essay conclusion explains it logically so we can grasp the its true meaning. 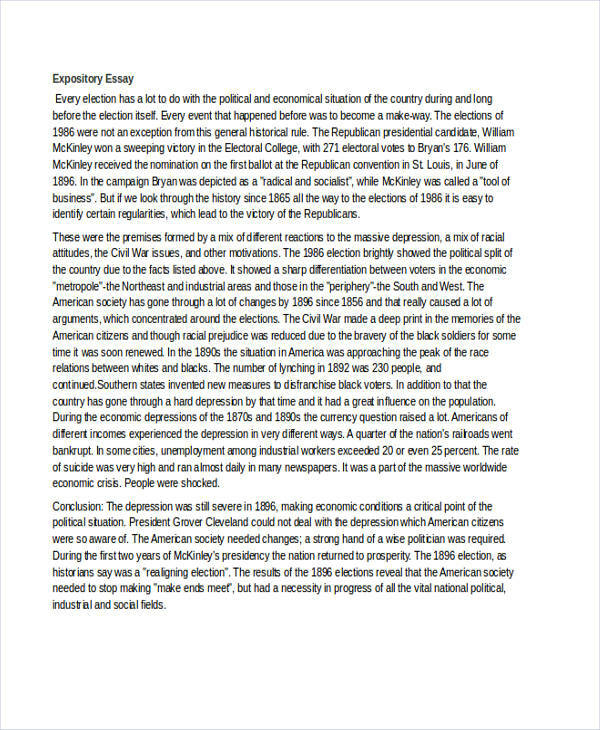 Another benefit is expository essays present a fair and balanced analysis of the idea. It eliminates writer’s opinions and emotions just like in a persuasive writing.